It’s not the leopard, not even the tiger. 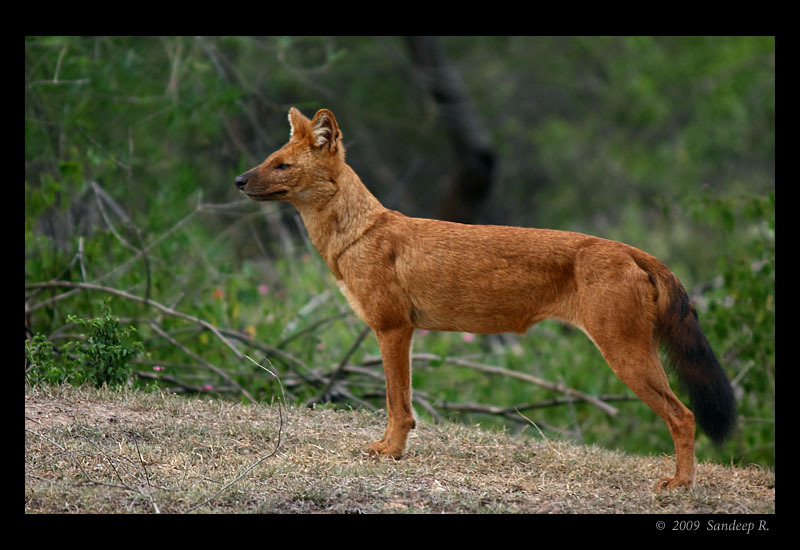 The deadliest assassins in the Indian Jungles are Wild Dogs or Indian Dholes (Cuon alpinus). The have the best strategy for hunting – team work. Their communication skills are fantastic, whistling sometimes, and just intuitive co-ordination at others. 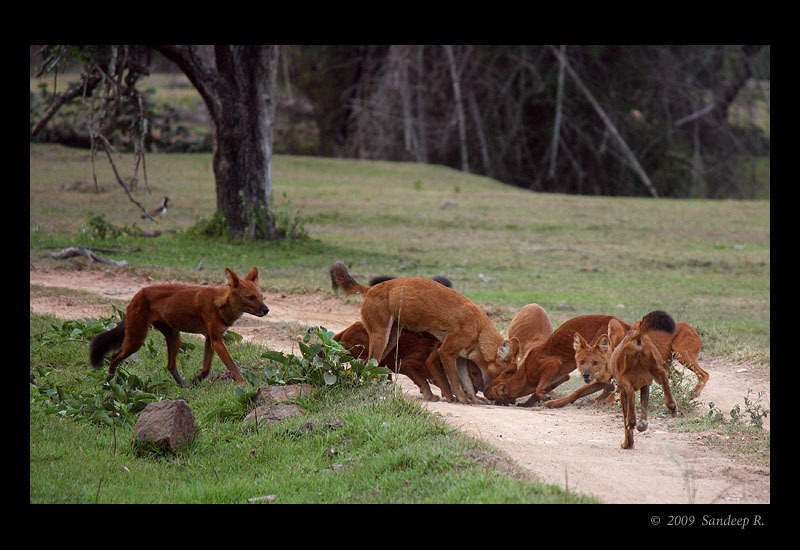 A pack of 14 wild dogs were sighted regularly around Mulapur area of Bandipur National Park. Unlike tigers and leopards, wild dogs in a pack of this size hunt almost everyday. 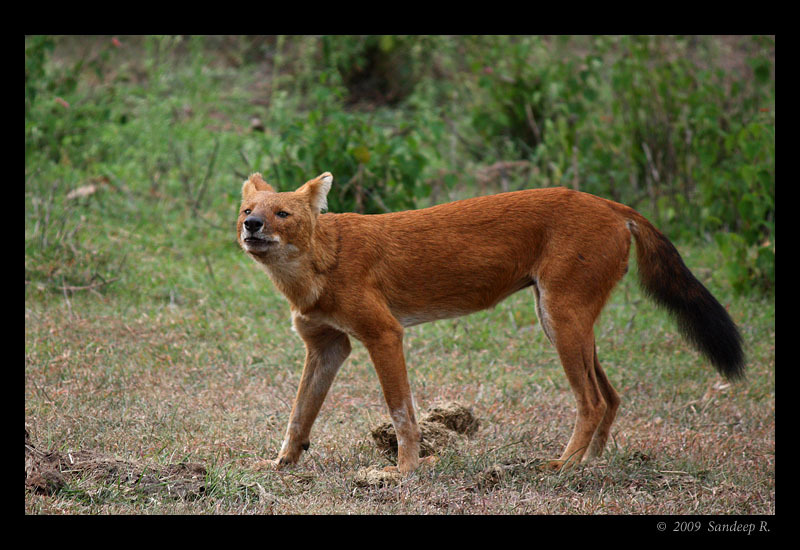 Wild dogs can hunt down prey much larger than their size, and they commonly feast on Sambar and Spotted deers. An alpha dog leads the attack, and keeps an eye for prey, and threats from other predators. On a particular day, the pack of 14 dogs showed a remarkable strategy. 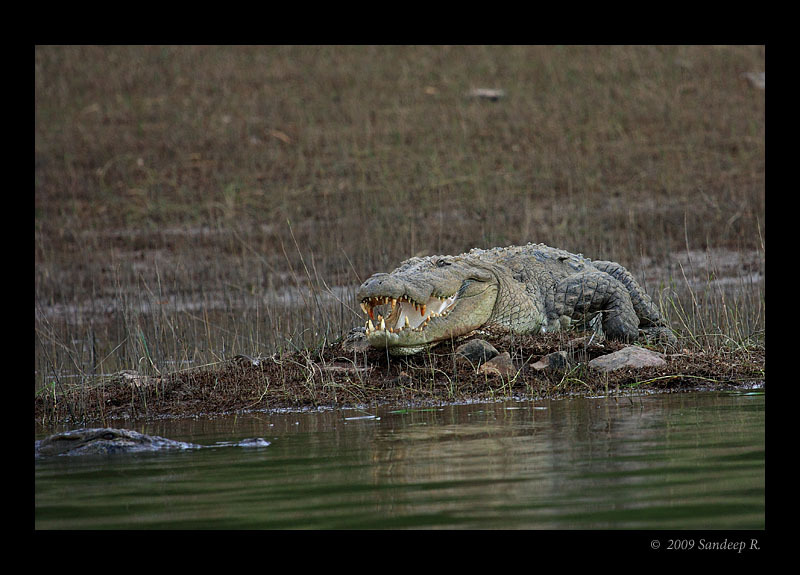 The divided into two groups of 7 each, and were pursuing Chitals. 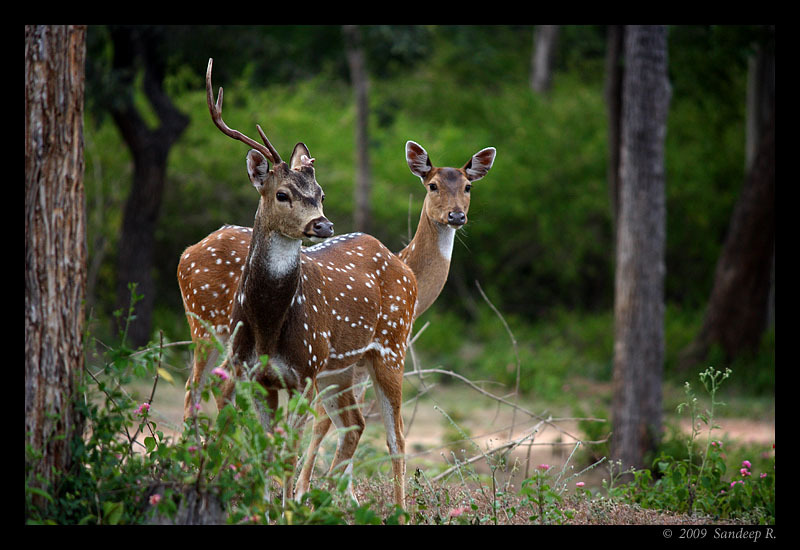 We were tracking two packs, and the spotted deer for nearly an hour. 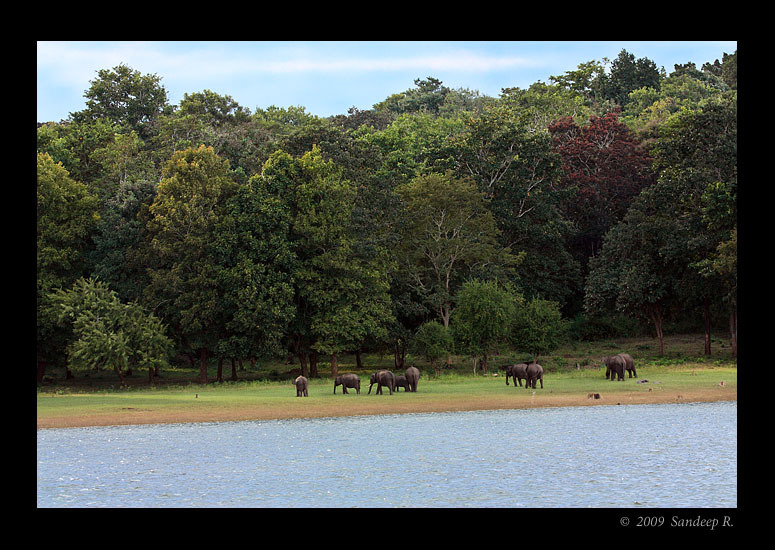 Usually found in herds of 10 or more, these two Chitals were separated from the herd by the pack. Their anxious look is evident in the image. Tall lantana bushes made us lose track of a pack of 7 dogs, and the chitals. Half an hour later, we caught the two packs uniting – one pack well fed, evident from their belly, and the other still looking for a meal. A Red-Wattled Lapwing chick became the casuality. Within few seconds, right in front of my eyes, the chick was caught and feasted on even as the hapless mother Lapwing looked on (in the background, left of the tree trunk). Krupakar and Senani have a wonderful documentary, Wild dog diaries, on these predators at Bandipur produced for National Geographic. They were filming the second series of this documentary at the park this time, and i’m sure this pack of 14 dogs will be taking a center stage. I got a chance to meet the wonderful duo at their home – a memory i’ll cherish forever. 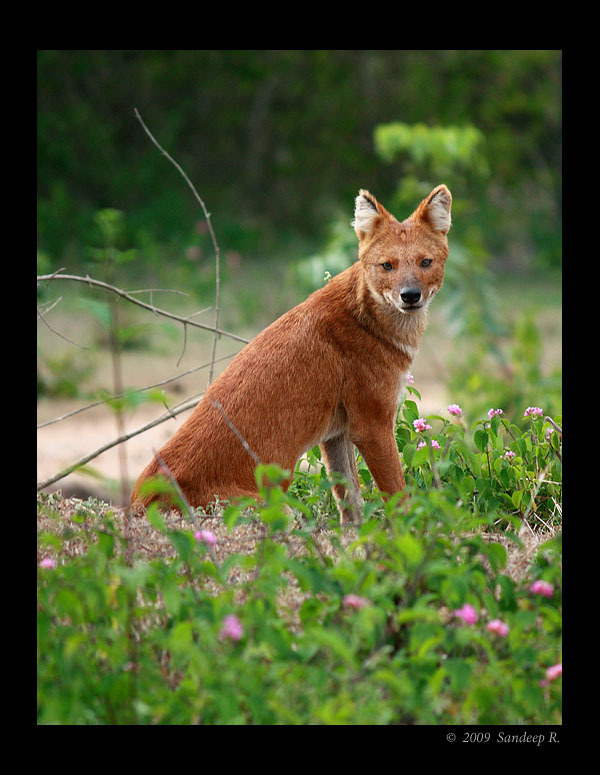 On ICUN endangered species list, Indian Dholes are on recovery mode. 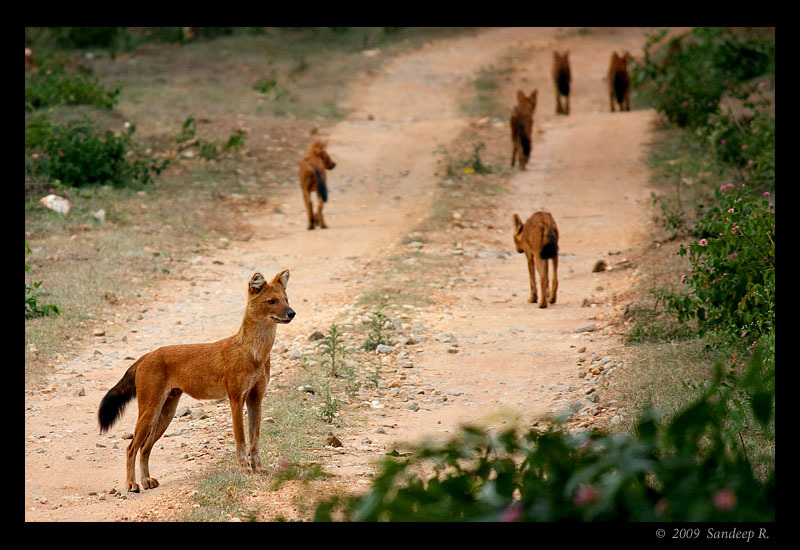 There are at least 4 packs in the Bandipur tourist area, and is good to see them thrive. 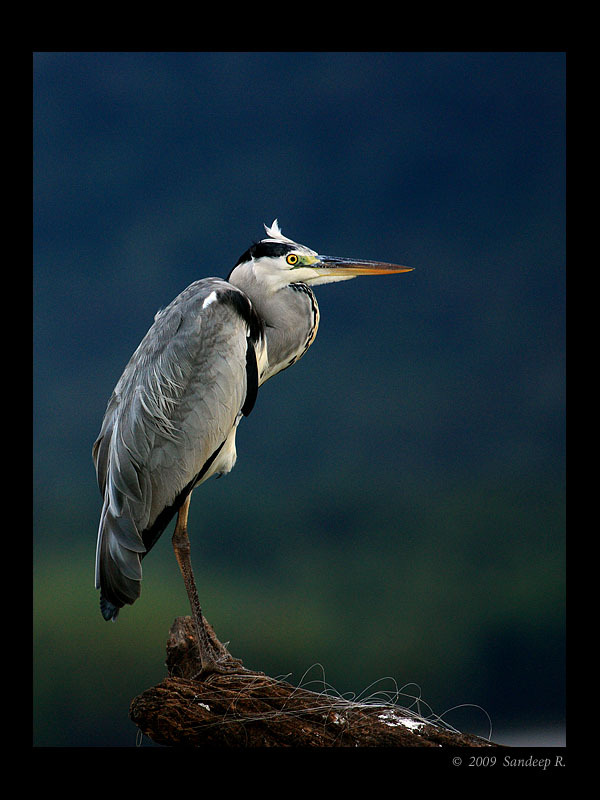 My first photography trip with Canon 100-400 was to my favourite birding spot in Bangalore, Valley school. 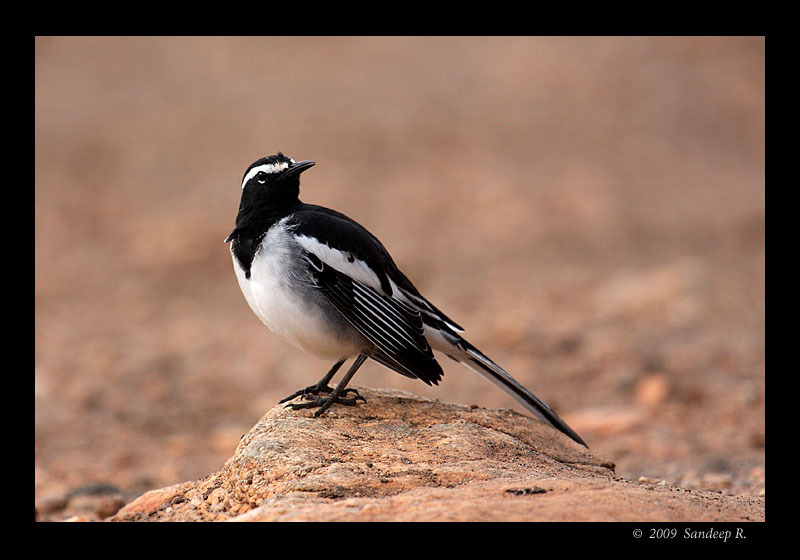 A pair of Pied Wagtails were bathing in the parking lot. Stopped the car, got out and fired this shot. I am impressed with the lens. I never even dreamed of shooting the fastest bird on earth at 10mm, but here i have it. 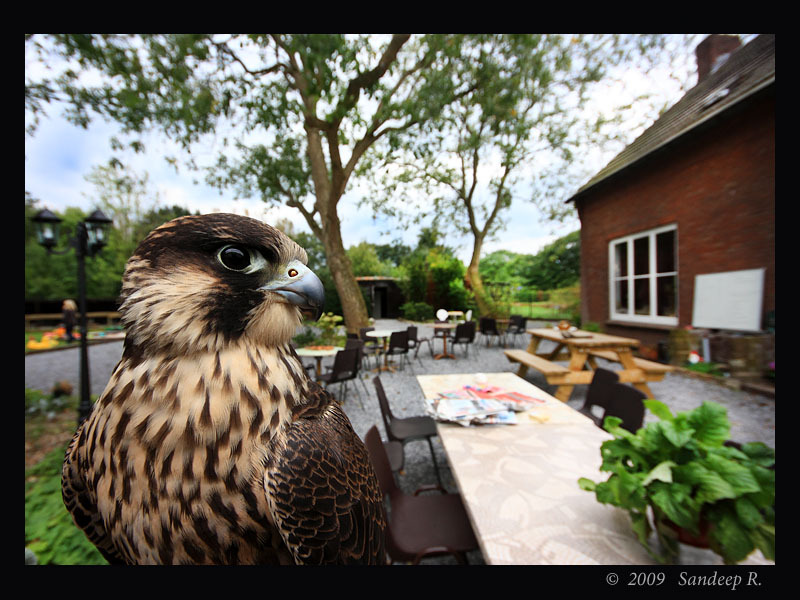 Located at the outskirts of Eindhoven, Netherlands, Falconcrest supplies falconry equipment across the world. After co-ordinating with Frank Lenders, I had a chance to visit this place on a Sunday afternoon. I reached the place by 1pm, and spent an hour checking out all the birds they house. A gloomy morning cleared up to a bright afternoon, and the Birds of Prey demonstration gave a fantastic opportunity to see the winged beauties fly up close. European Eagle Owl, Bald Eagles, Chilean Blue Eagle, Harris Eagle, European buzzards, Snow Owls, a mixed-bred Falcon, Perigrine Falcon were all there. On one hand, it was exhilarating to watch these beauties so close, while on the other, it was disheartening to see them put in cages and dealt with a leash. I could not understand many of the things that was explained as the demo was in Dutch. Lucky to find a translator in a visitor, Crista, who helped me in understanding some of the things. 1. Perigrine Falcons develop an oily substance to cover their eyes while diving to catch a prey so that their eye won’t water – organic goggles! 2. 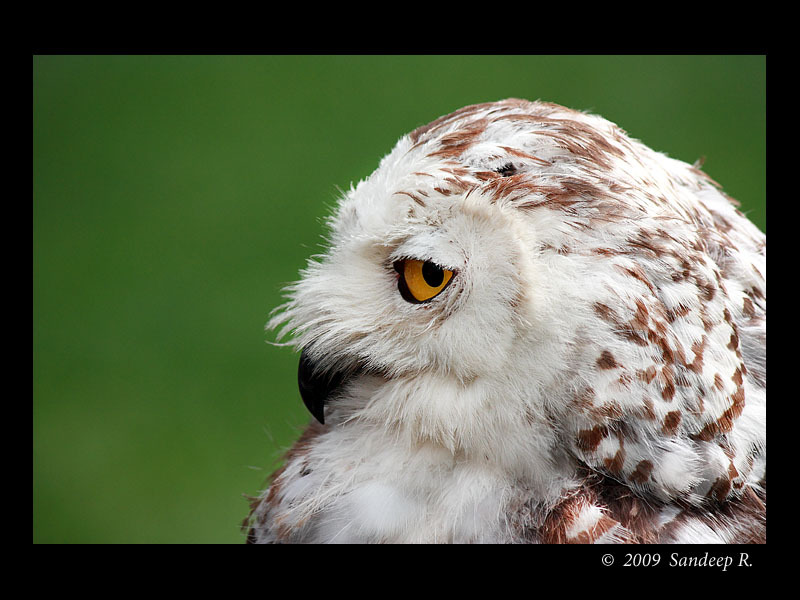 From the color of Owl’s eye you can say whether they are day hunters or night hunters. Yellow – day, and Red – night. 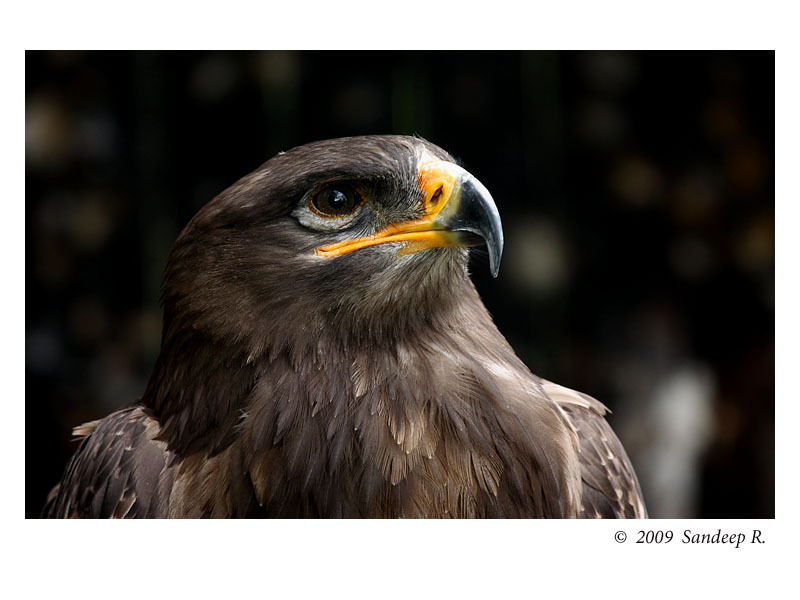 Chilean Blue Eagle or Black-Chested Buzzard Eagle is a huge bird of prey, found in Southern America. 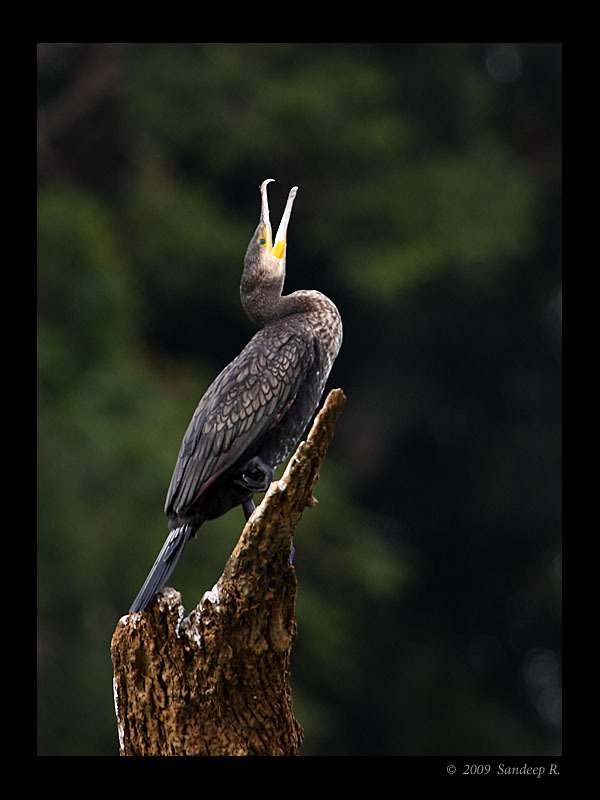 This huge bird preys on small to mid-sized mammals, and occasionally known to hunt Gray Fox – two to three times it’s weight. The birds are dealt with a leash when training, and are let to fly without leash after ‘graduating’. These birds they say are still ‘wild’ and unpredictable. Some birds escape even after months of training. 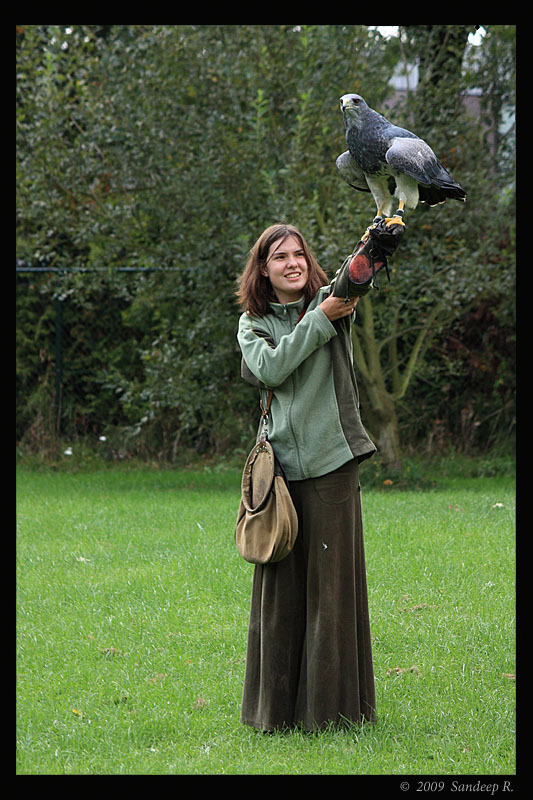 The size of this bird is evident in the hands of a pretty falconer. 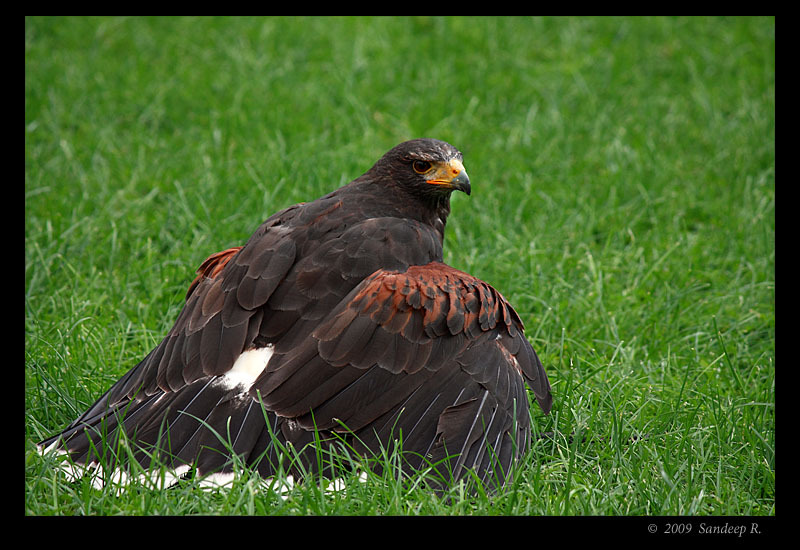 Falconers feed these bird with chicken, some times with other game birds such as Doves when used for hunting. 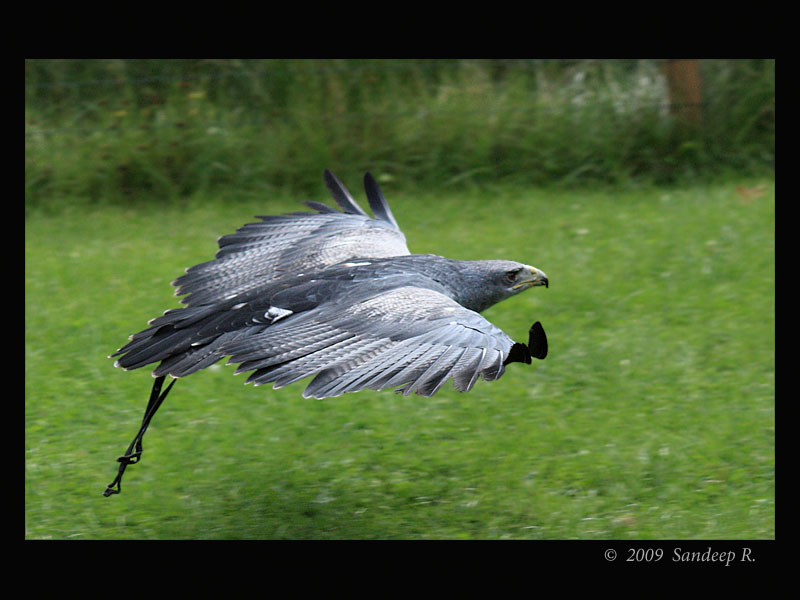 Harris Eagle covers it’s reward with it’s wings. 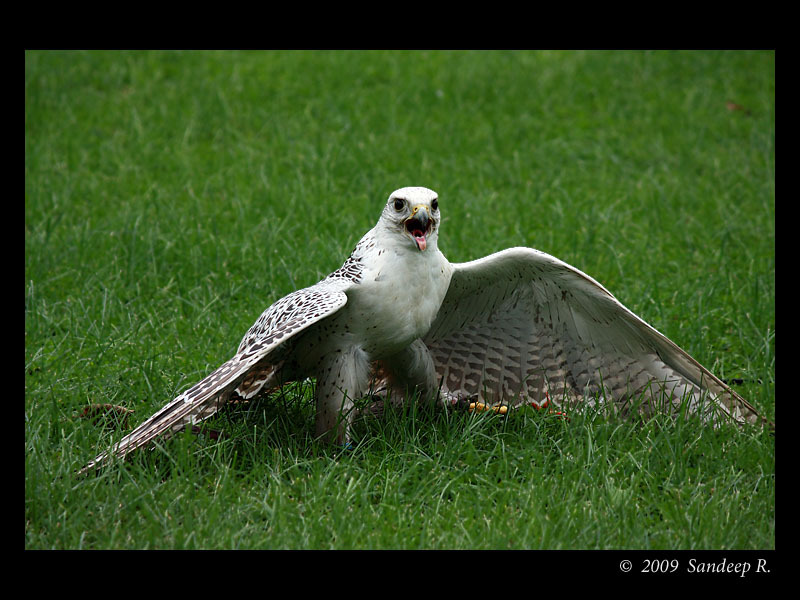 Traditionally, Falcons were used for hunting. Now, they make decorative show pieces especially in the Middle-East. 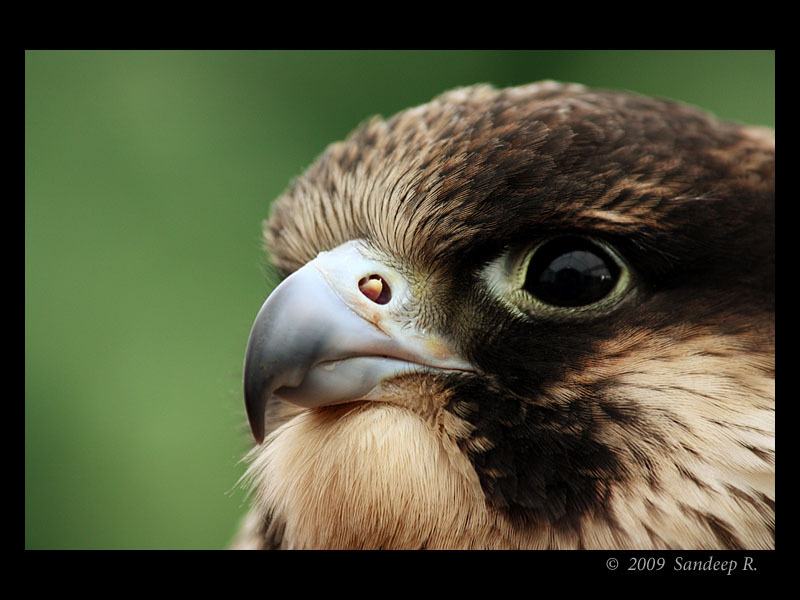 The cost of a falcon depends on the breed, age, and gender. Yes, gender. Mostly they are hosted in cages, but their authority and charisma is still vivid. Birds’ eyes are usually covered with a head gear to keep them calm. The funky helmet helps them to focus before the show. 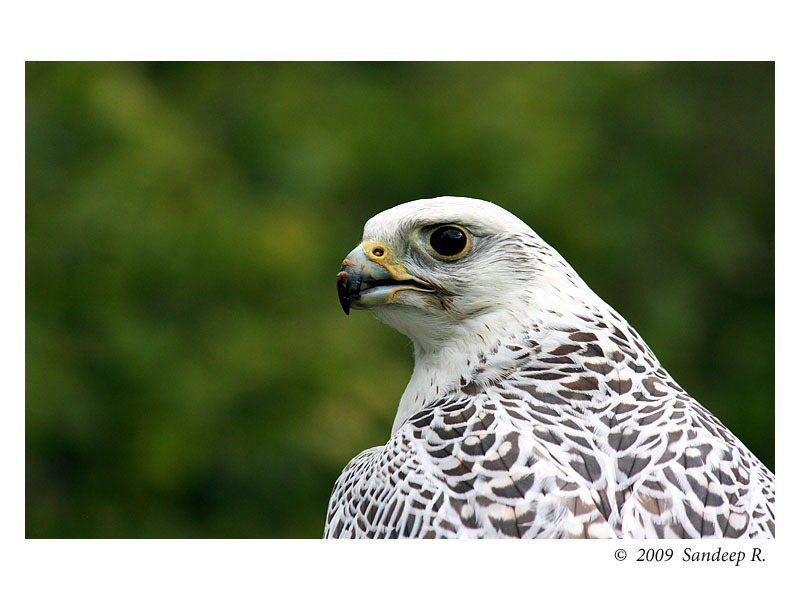 This mixed-bred falcon surveyed the area with super fast rounds. 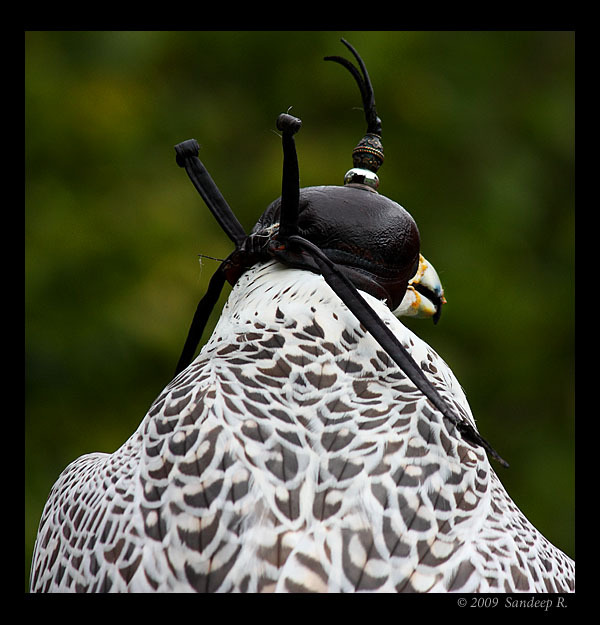 Usually Falcons go at full speed once per attempt on prey, but this bird was trained to optimal fitness for 3 dives or flying sprints in succession. This magnificent bird responds very well to ‘whistles’ of the falconer and was exhausted after the flight and landed gasping for breath. 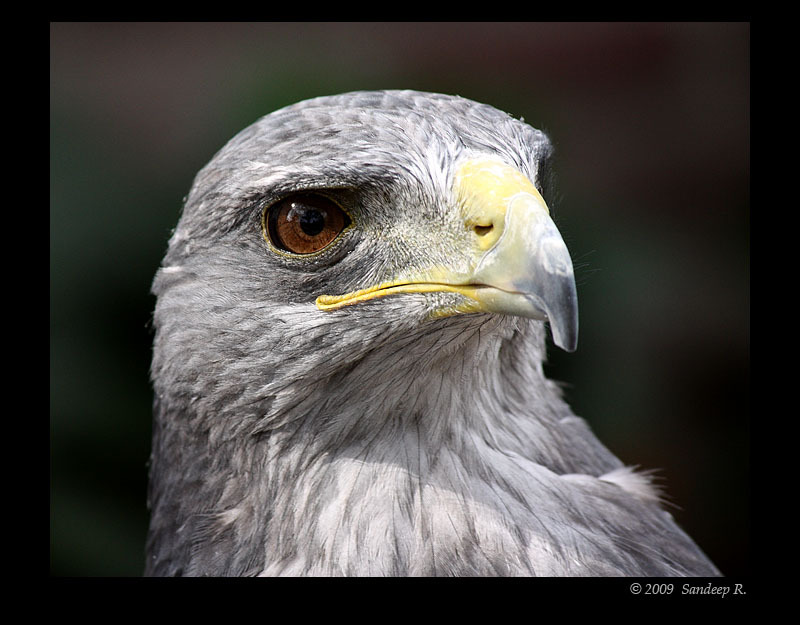 Few of birds are raised as a chick, few are bought from other falconers, and others are caught/rescued from wild. A pair of Snow Owls are bred here. Snow owls fly without making even a minute noise. They fly past you, and you don’t even feel until you see. 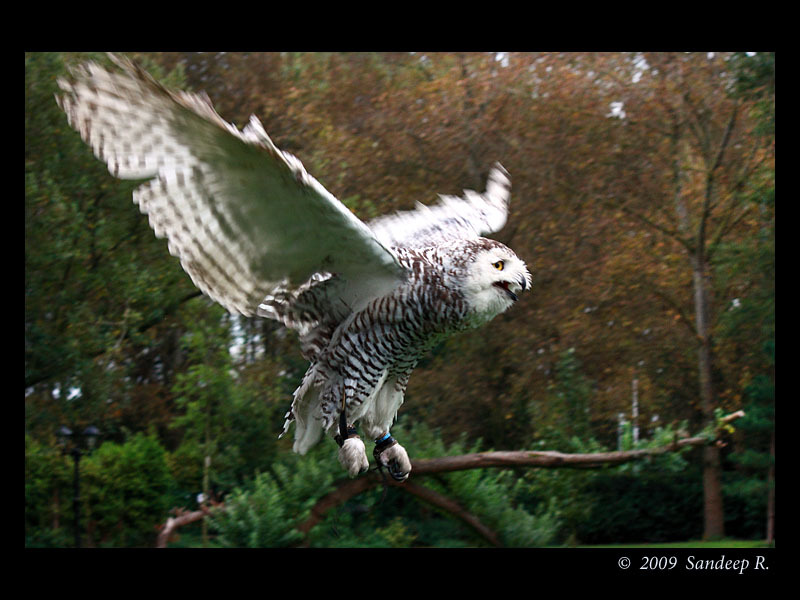 Snow Owls females are larger and more authoritative than males – nothing new for we people huh? My favourite from the visit was the young Peregrine Falcon. He was still under training, and flew with a leash attached. I was told he is aggressive and bites, but was surprisingly comfortable with me. Master falconer Frans Lenders runs this park. Many famous people including the former president of US, George Bush, have visited this place. Bus stop at Tempellan is the nearest to this place, and it takes 5 minute walk from the stop. If you can dirve, nothing like it. P.S. : Hope I have made up for the dormant status of past few months.